Latvia accessed both NATO and the EU in the spring of 2004 Latvia joined the Eurozone in 2014. Latvia is a small, open economy with exports contributing nearly a third of GDP. Due to its geographical location, transit services are highly-developed, along with timber and wood-processing, agriculture and food products, and manufacturing of machinery and electronics industries are the main drivers of the Latvian economy. Latvia’s economy entered a severe recession in 2008 as a result of an unsustainable current account deficit and large debt exposure, and has not returned to pre-crisis levels despite strong growth, especially in the export sector. The government remains committed to fiscal prudence and reducing the fiscal deficit. 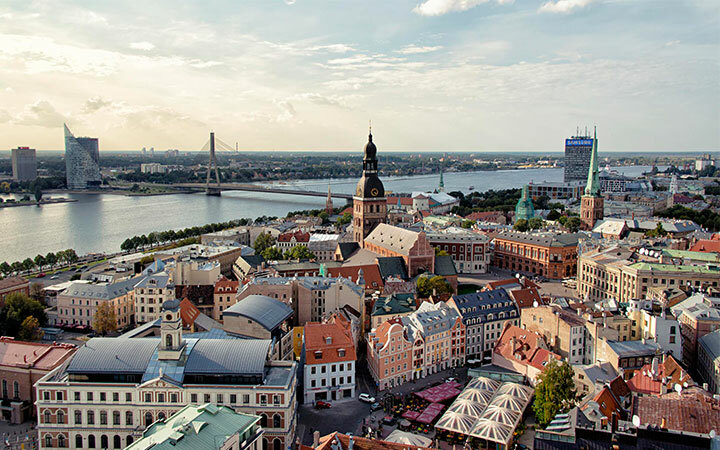 Latvia has taken an important step on the road towards OECD membership by completing the process to become a member of the OECD Anti-Bribery Convention in May 2014. Latvia has a long tradition of conservation. The first laws and regulations were promulgated in the 16th and 17th centuries. The 2012 Environmental Performance Index ranks Latvia 2nd after Switzerland, based on the environmental performance of the country’s policies. Latvia has the 5th highest proportion of land covered by forests (44%) in the European Union, after Sweden, Finland, Estonia and Slovenia. In 2012, Latvia was ranked the 4th on the Sustainable Society Index among 151 assessed countries.